DeVere recognizes that fitness centers, health clubs and athletic facilities are in a competitive business and that a clean, sanitized environment gives the facility an edge over its competition. DeVere chemists combine research with state-of-the-art technology to develop the most up-to-date, powerful disinfectants on the market. DeVere disinfectants, available as economical concentrates or convenient aerosols, are effective on organisms such as Herpes Simplex, HIV 1 and 2, Hepatitis B and C, Athlete’s Foot fungus, staph and salmonella. These products also deodorize because they kill bacteria at its source. DeVere provides an array of products to clean and sanitize the entire facility – general purpose and carpet cleaners in the reception area, dishwashing chemicals and food surface sanitizers in the snack bar, laundry detergents and stain removers in the laundry room, heavy-duty cleaners and disinfectants in the workout areas and locker rooms, and cleaners, deodorizers and toilet/urinal products in the restrooms. DeVere’s high technology approach creates progressive cleaning solutions to give the facility that competitive edge. The LED Dispenser is a standard size, battery-operated dispenser that automatically dispenses aerosol sprays at programmed intervals. For use with LED Air Neutralizers – Metered Air Fresheners. 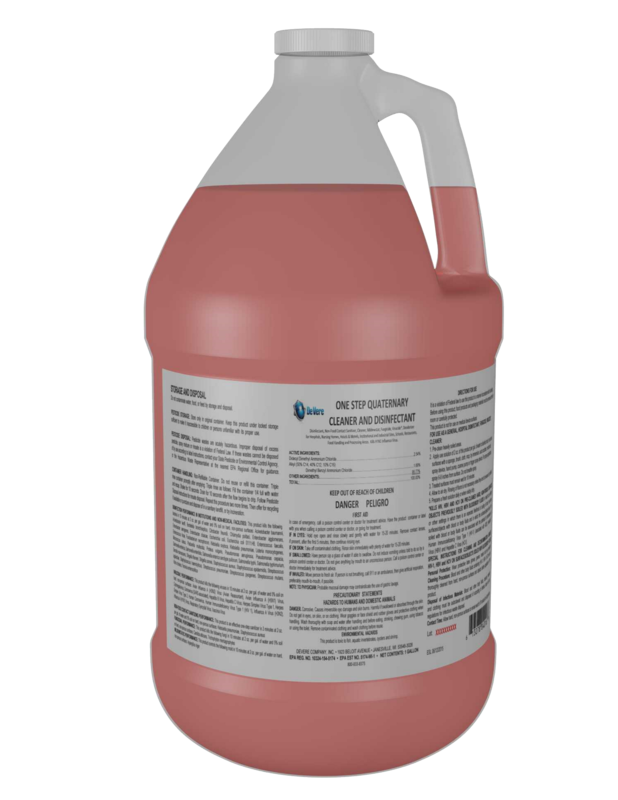 Spray Disinfectant is an aerosol disinfectant spray that is effective in killing a variety of harmful bacteria, viruses, etc. Ideally used in is many spots including athletic equipment and lockers. Spring Mist Fabric & Air Freshener freshens the air as well as carpets, drapes, upholstery, and other fabrics. It eliminates odors on contact and leaves a fresh, clean scent. This product encapsulates odor-causing molecules, completely eliminating odors. Use QDII Sanitizing Wipes to quickly and effectively clean and disinfect hard non-porous surfaces. These fourth-generation quat wipes will kill most viruses and bacteria including HIV-1, MRSA, Norovirus and Influenza A viruses.